Heres a pop quiz: Love art? Love taking photos? Love Mickey Mouse? If your answers are yes, yes and yes, we have something popping up, just for you! The Disneyland Resort is introducing an all-new, must-see pop-up experience at the Downtown Disney District. Coming this spring, Pop-Up Disney! A Mickey Celebration will transport you through a visually and whimsically immersive experience celebrating 90 years of the one and only Mickey Mouse, and his darling, Minnie Mouse. One such surprise will be a super-sized and super sweet bow sofa. 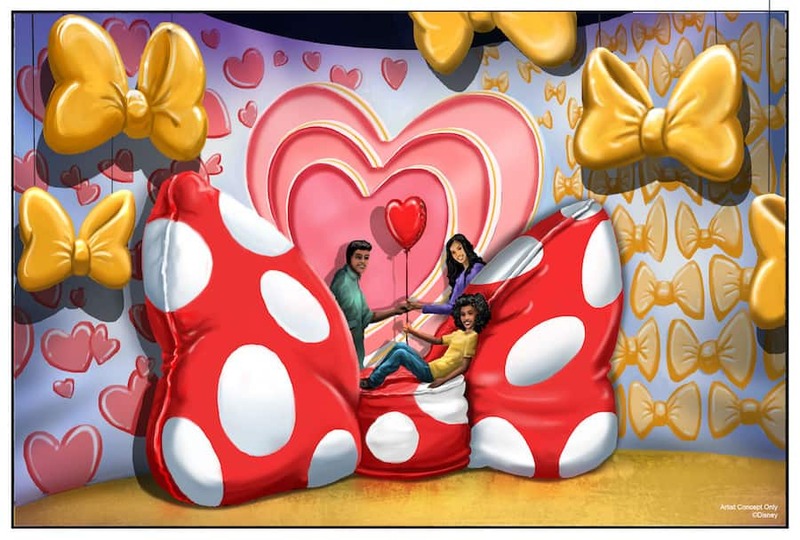 In this area, you can pop into the portrait and take a seat on Minnies plush sofa or pose under Minnies giant bows and hearts. Dont forget to blow a kiss! This separately ticketed exhibit will be located near the Downtown Disney District Monorail station in the former space of ESPN Zone. Tickets will go on sale soon. Keep your ears perked to the Disney Parks Blog for more details! Pop-Up Disney! A Mickey Celebration is another fantastic example of the excitement and evolution of entertainment, dining and shopping in the Downtown Disney District. Most recently, we welcomed Ballast Point Brewing Company, Salt & Straw scoop shop, the re-designed Wetzels Pretzels, Naples Ristorante e Bar, Napolini Pizzeria and the re-imagined World of Disney! Exhibit elements and activities subject to change or cancellation without notice.